We’re making our lists and checking them twice, but there’s one thing that’s sneaking up on Us — shipping deadlines! Best believe that the last day to pick up any last-minute gifts for friends, family and ourselves is just around the corner and unless we want to be roped into spending way more money on next-day shipping than we’d like, we need to start finalizing our orders right now. After all, the goodies sitting in our cart won’t just magically appear on our doorstep. One of our favorite one-stop shops for picking up gifts is, of course, Amazon. It’s a great place to find all sorts of presents, from stocking stuffers for nieces and nephews, to splurge-worthy finds for family members and best friends. We’ve also spotted plenty of sweet items for our own personal wish lists, too (hello, Core 10 customizable leggings). It’s no surprise that Amazon is having plenty of awesome deals for the holidays, but the most important numbers to remember are the last days to place an order for free shipping. Prime members, you’re in luck. Those that have the coveted (and let’s be real, much-needed) membership have a bit longer to check off all the items on their gift lists. Saturday, Dec. 22, is the last day for Amazon Prime Members to score free two-day shipping. That’s just around the corner, so we’ll be sure that everything we’re ordering is sitting pretty in our cart and ready to be checked out well before that date. Mark your calendars! For those of Us that love to cut it real close, there’s another day to mull over purchases and shipping deadlines. If our orders are eligible for Amazon Prime free one-day shipping, we can hold off checking out until Sunday, Dec. 23. That’s way too risky for Us, but sometimes the truly perfect gifts take a little bit of extra time to get just right. The true risk takers can wait even longer to make their purchases. Daredevils can wait until Monday, Dec.24 to place any orders eligible for Amazon Prime same-day delivery. We can wait until Christmas Eve to get our orders! Wrapping it up and sneaking it in a stocking or under the tree without our loved ones seeing isn’t a risk we’re normally willing to take, but sometimes it’s absolutely necessary. How else are we going to get a last-minute gift to that one in-law or cousin we totally forgot we had? Not sure what to add to cart? Check out these goodies we found and be sure to scoop up gifts ASAP to guarantee free shipping before the big day! No one will ever say no to an awesome cashmere sweater, especially not one that comes in such a beautiful array of colors (ten to be exact, ranging from a quintessential grey and a bright red that’s sure to draw eyes). As for the price, it’s such a steal that it almost feels like a present for our wallets, too. See it: Check out the Lark & Ro Women’s Turtleneck Pullover Cashmere Sweater for 57 percent off the original price of $115, now only $50 at Amazon. Looking for something else? Check out other pullovers for sale at Amazon. Please note, prices are accurate at the update date of publication, December 14, 2018, but are subject to change. Who wouldn’t want to be enveloped in this snuggly cardigan all day? We plan on giving it to a loved one to keep them cozy on weekends or to use as an added layer with jeans and a tee, though there’s definitely a strong urge to just keep it all to ourselves. 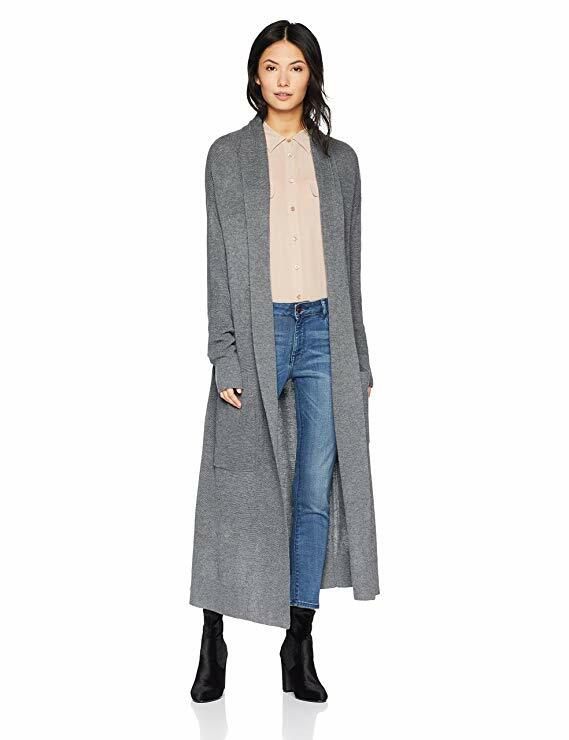 See it: Check out the Cable Stitch Women’s Open Placket Long Cardigan Sweater for just $60 at Amazon! Not feeling it? Check out other sweaters for sale at Amazon. Please note, prices are accurate at the update date of publication, December 14, 2018, but are subject to change. There’s nothing quite like a puffer coat to make even the coldest winter nights feel like just a little bit of chill. This one by Haven Outerwear is designed to keep Us toasty warm, plus the luster finish gives it a cool, street style-worthy vibe. 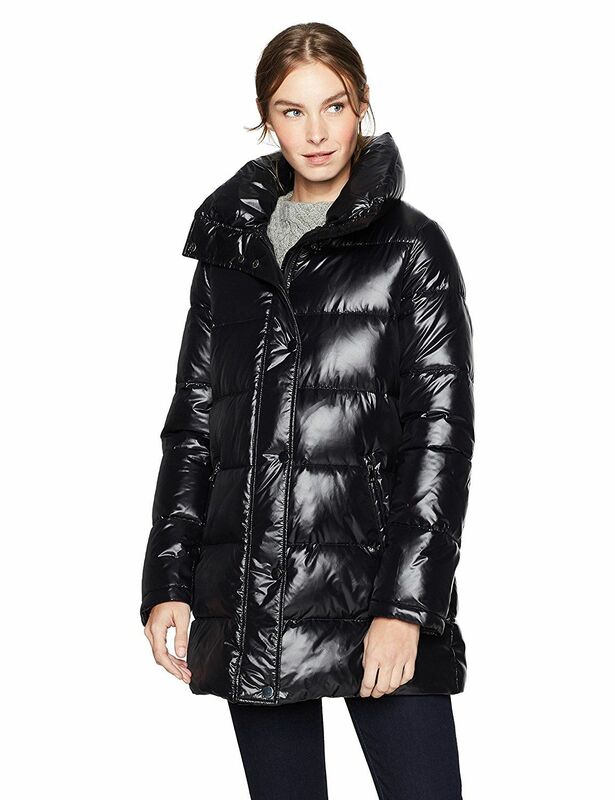 See it: Scoop up the Haven Outerwear Women’s Mid-Length Quilted Puffer Coat for just $40. Not your thing? Check out other coats available at Amazon. Please note, prices are accurate at the update date of publication, December 14, 2018, but are subject to change.